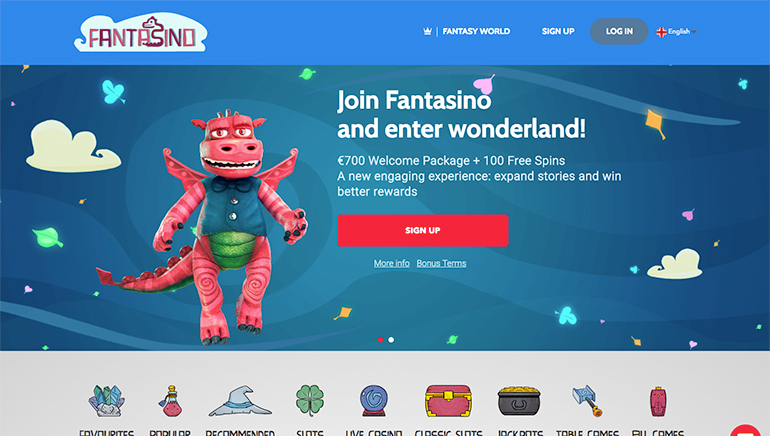 Launched in 2017, Fantasino Casino comes with a new concept in online gaming, where players develop an avatar which collects rewards such as free games, cashback and game tokens as they take it around a fantasy world. This isn't the only great feature however, as Fantasino Casino also comes with games from multiple suppliers, an extensive array of deposit and withdrawal options, multiple licensing agreements that allow them to welcome players from around the world and a warm welcome consisting of deposit bonuses and free spins. 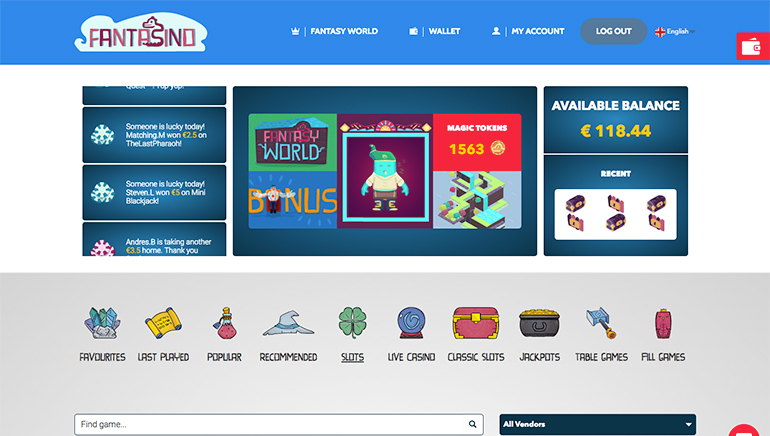 While most casinos are satisfied with the games from three or four developers, Fantasino Casino has gone for an incredible nineteen different suppliers and counting, from big names like Net Ent, Play'n'GO and IGT, to up and coming developers such as Sinomenal, Kiron and Booming Games. These cover every imaginable category of games, from live dealer tables to classic Roulette and card games, Video Poker in numerous different flavours and an amazing array of pokies. These include over 40 progressive jackpots, with Mega Fortune and Hall of Gods heading the list. Other pokies include hit games like Starburst, Jack Hammer, the Star Trek range, Kitty Glitter, Alice In Wonderslots and Star Bars, but with each supplier expanding their ranges, the collection at Fantasino Casino is set to just keep on growing. 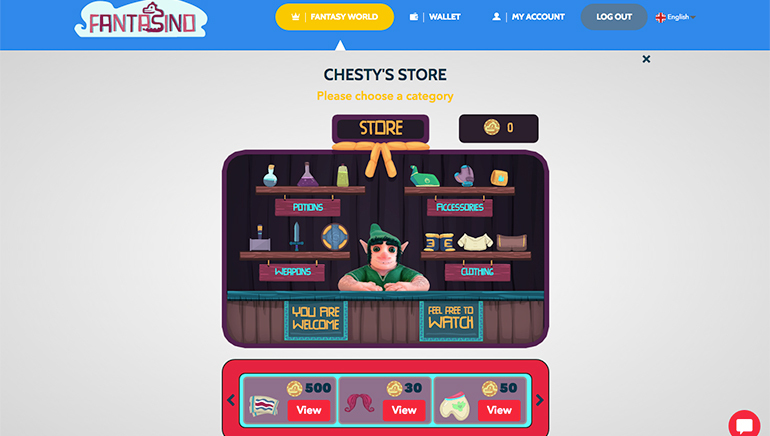 Whichever games are chosen, players will be able to access them from a user-friendly menu, and from desktop or mobile devices. New Aussie players will be granted deposit match bonuses and free spins when they open an account, while further bonuses will be added to subsequent payments and there's lots of promotional activity to keep bankrolls nicely topped up on a regular basis. 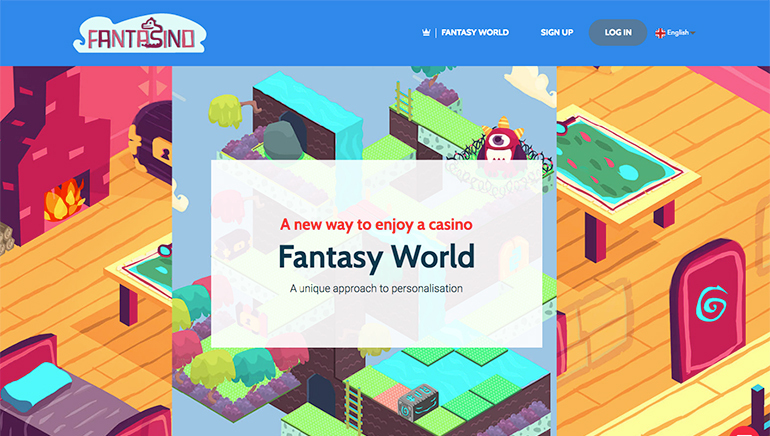 Many of these are linked to the fantasy world which makes this site stand out as something different in a crowded online casino market. 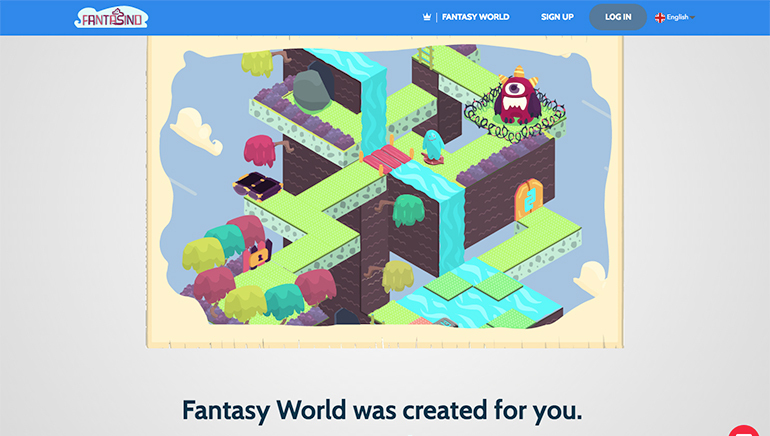 Players develop an avatar, called a Trebol, which inhabits its own world, and as players place wagers on the games, they earn rewards which expand their world while adding extra funds, games or prizes to their accounts. Upgrades can also be purchased, but the more wagered at the casino, the quicker a Trebol and their world will grow. It's a concept that's sure to attract people looking for something unique, while also being rewarding. A wide range of deposit options is open to Fantasino Casino players, with Visa, MasterCard, Neteller, Skrill, Zimpler, Paysafecard, Yandex and Giropay among accepted methods, and players can be guaranteed that their deposited funds are safe, while all transactions are handled over secure systems. Customer support is through live chat and email, with a free phone service open to UK residents. English, Spanish and French languages are currently supported although more are being added by a team based in Costa Rica. Operating licenses have been granted in the UK, Malta and Curacao, which means players from much of the world can join in the action, although restricted countries include the USA, France and Turkey among others.